Are you wondering where to buy affordable bridesmaid dresses online WITHOUT sacrificing quality? You’ve come to the right place! 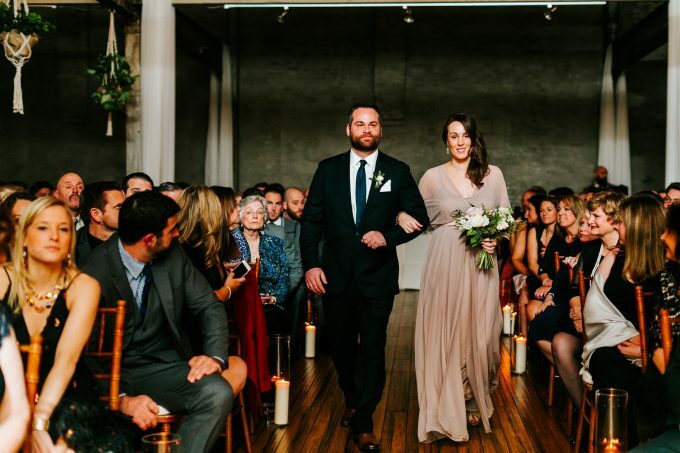 Once I knew who was standing up in my wedding, I couldn’t wait to narrow down the dress. But I was looking for two important details: they had to be affordable bridesmaid dresses and they had to look (and make my bridesmaids feel) beautiful. 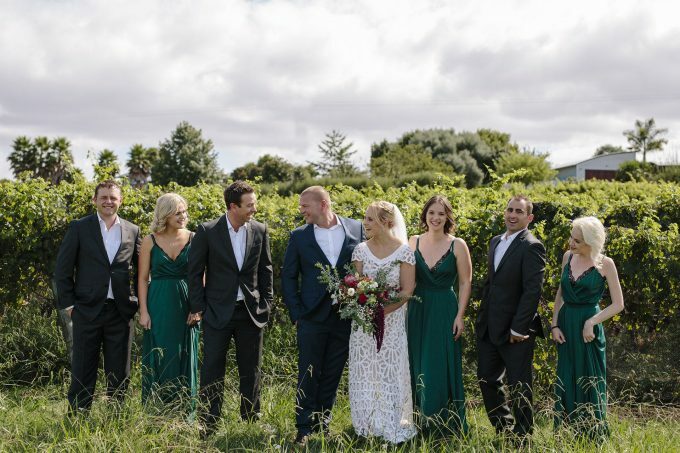 Bridesmaid dresses aren’t usually the easiest thing to wear again and if you can find a dress the will feel beautiful in, bridesmaids are more likely to wear it again. I searched forever to find cheap bridesmaid dresses; I’ve taken the guesswork out of it for you! In this list, you’ll find fifteen beautiful and affordable bridesmaid dresses that are handmade from awesome high-quality materials. Win-win-win. Meet Blush Fashion, our go-to for affordable bridesmaid dresses that can actually be worn again. You may remember Blush Fashion from our recent round-up of little black dresses for bridesmaids; today we’re sharing their colorful bridesmaid dresses. First and foremost, these dresses are stylish; they’re made with ultra luxe fabrics, modern and flattering cuts, are on-trend with the season’s styles, and offer a range of neutral colors. I would not be surprised if, after your wedding, you found out your bridesmaids all wore their dresses again. I know I would! Finding these bridesmaid dresses at an affordable price is not an easy task; you literally have to search dozens of stores online via web searches and through customer reviews to find exactly what you are looking for. When I shopped for my own bridesmaid dresses, I found online retailers that promised affordable bridesmaid dresses, but unfortunately, the quality was not as good as they promised. I also noticed the poor online ratings (or lack thereof). You don’t want to set your bridesmaids up to buy questionable dresses online, right? So, stop searching and start browsing the beautiful collection we’ve found for you today! These affordable bridesmaid dresses by Blush Fashion are handmade by a REAL PERSON behind the scenes — Sheryll is the head designer and she does awesome work. She has over 10k sales, she’s been on Etsy for years (as an Etsy Featured Seller, too), and her independent website sales are booming. You’re buying bridesmaid dresses that are inexpensive, from a reputable source, and made from high-quality materials. Win, win, win! Today we’re sharing fifteen of our favorite bridesmaid dresses from Blush Fashion. Long, short, chiffon, jersey… you’ll find it all right here. They’re all affordable, too — all dresses are UNDER $250 (many much lower). Which one is your favorite? This champagne knee-length bridesmaid dress is UNDER $100. Isn’t it stunning? Plus, it is made in a neutral color of champagne which means your bridesmaids will definitely be able to wear it again. This dress is beautiful for bridesmaids; in taupe, her bridesmaid bouquet will really pop! Shoes are easy to accessorize, and these lace sleeves are everything. If I had to choose one dress for my closet, this would be the one. It features a v-shaped neckline in front and in back; in addition, it is floor-length, which I love, and has a sensational color. Bordeaux red is such a gorgeous shade! I adore this chiffon dress with a feminine cut and small sleeves. This color in blush is so beautiful for spring and summer. 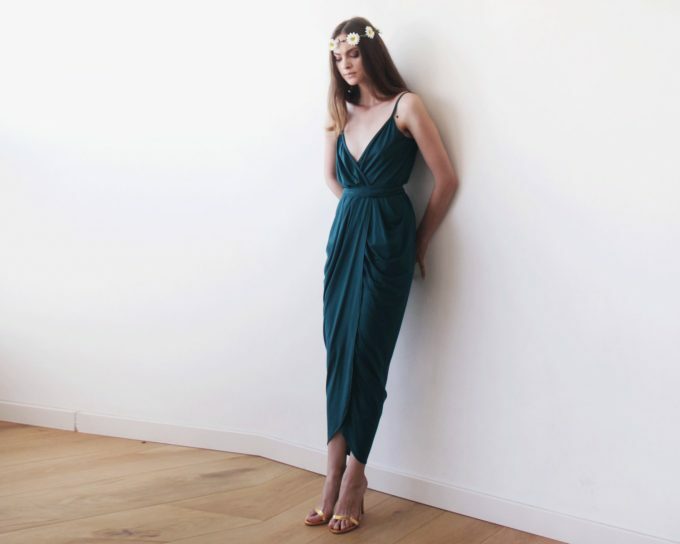 One of the best-selling bridesmaid dresses from Blushfashion is probably the wrap maxi dress. 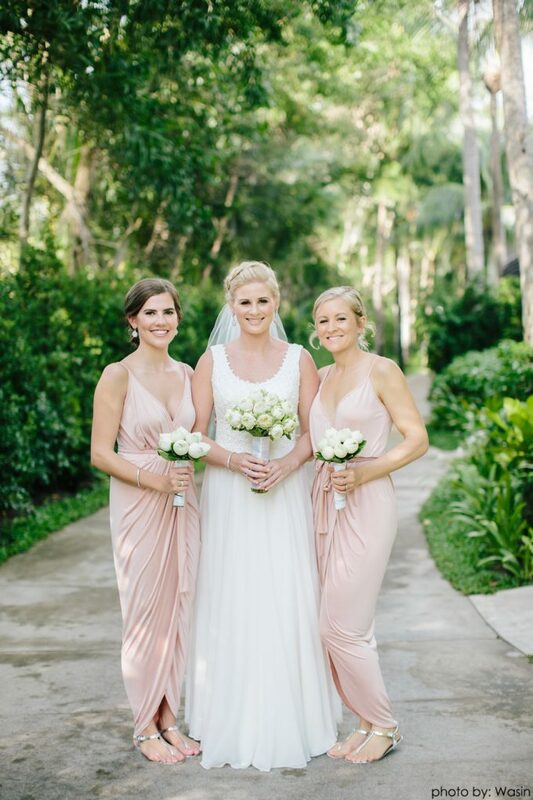 You can choose a variety of soft, pretty neutrals and have bridesmaids wear their favorite shade, or choose one single color for each bridesmaid to wear. The dress features a plunging V-neckline, wide straps, an overlapping bodice and a tulip skirt gathered at the waist. I love this shade of grey! You may think emerald green is only for the holidays, but we think it looks great year-round! I love this combination of long sleeves on a short dress. Finally… a bridesmaid dress cheap and in a gorgeous spring-ready color of coral! Teal is one of the hottest bridesmaid dress colors of the year. This floor-length dress is made of chiffon and is ultra-flattering on every size. This is another tulip shaped dress but in sage green, which is very on-trend for spring. I love the width of the straps on this bridesmaid dress and the mid-calf length. And last but not least, here’s a lace bridesmaid dress in black with sleeveless design and open back. If you liked these bridesmaid dresses, you’re going to love everything you find at Blush Fashion! Shop here! You’ll also find incredibly beautiful + cheap wedding dresses in similar shapes and styles but in ivory, white, and off-white shades. This is a sponsored post in collaboration with Blush Fashion; however, we completely admire this brand and would bring them to you regardless. We only recommend brands we absolutely adore, like this one! P.S. Now that you know where to buy bridesmaid dresses cheap, what questions do you have for us? Leave them in the comments area!